Budapest – Hungary’s ever evolving capital at the crossroads of Central and Eastern Europe is an exciting combination of old and new and contains some of the best things to do in Europe. Castles, thermal baths, grand monuments and even a spot of pinball are among some of the great attractions in the twin cities of Buda and Pest. By air:- Ferencz Liszt Airport is very well served by many low cost airlines, especially WizzAir. There are regular services from others such as Ryanair, Easyjet and Norwegian. Many European flag carriers such as British Airways and Air France also operate direct flights. The only direct long-haul service is provided by Air Canada in and out of Toronto Pearson International Airport. 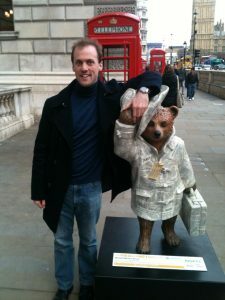 By rail:- Budapest is well conncected to many other locations notably Vienna and Bratislava. Both only 2.5 hours away and cost little more than 30€ one way. Longer distance direct trains from Berlin, Munich, Zurich, Warsaw, Bucharest and Zagreb are also on offer for those OK with an overnight sleeper or a full day on the tracks. Upon arrival, first impressions stepping outside Keleti station may not be so positive. But, as I certainly found out, move beyond the grey Communist era buildings to discover the centuries of history that made this city great. Maybe my first impressions weren’t helped by the fact I arrived on a grey and rainy day? One of Budapest’s most defining features are the various bridges across the Danube that link the old and new towns. 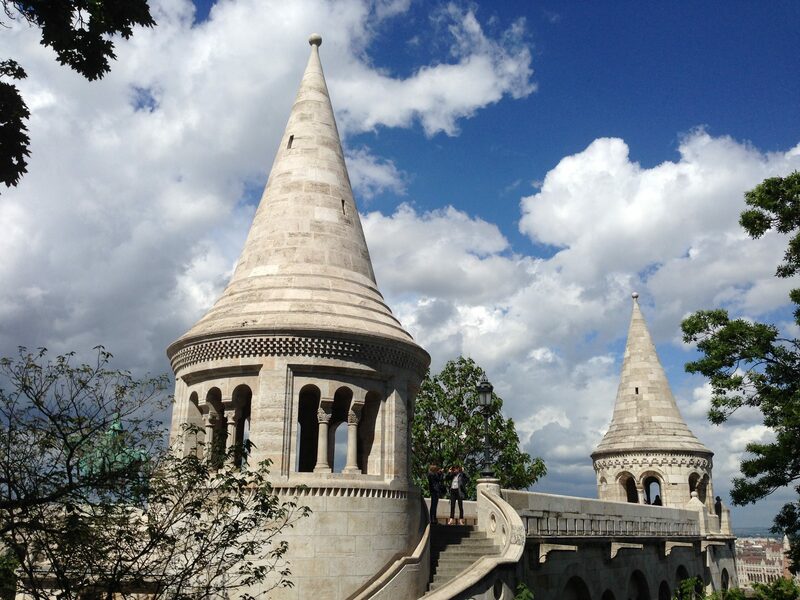 The best way to appreciate some of these structural wonders is to view them from Gellert Hill. Opposite the green cantilever Liberty Bridge is where the walkway up the hills begins next to the exclusive Gellert Hotel. This area is a superb hiking location in the spring and summer as it takes you across many acres of parkland. Carry on strolling through the pathways for fantastic views of the white marble Elizabeth Bridge and Budapest’s landmark Chain Bridge with its signature lion statues. The spectacular neo-Gothic Parliament Building cannot be missed either from the hill or standing right next to it. The cone-shaped, almost Disney castle entrance to the Fisherman’s Bastion is another great viewpoint for the city views especially at dusk. The towering St. Stephen’s Basilica in the heart of Pest is impressive both inside and outside, with the most stunningly coloured roof. It is definitely worth the small fee to climb to the top and take in some amazing views from above. The reputation of Budapest as a city of spas is one of many legends that dates back to Roman times. No visit is ever complete without a dip in the refreshing hot waters for which this city is so revered. Most famous are the upmarket Gellert Baths (that are part of the grand hotel with which it shares its name), and the more commonly visited Szechenyi Baths over on the Pest side of town. The latter boasts 21 different pools and is a very popular summertime party spot! 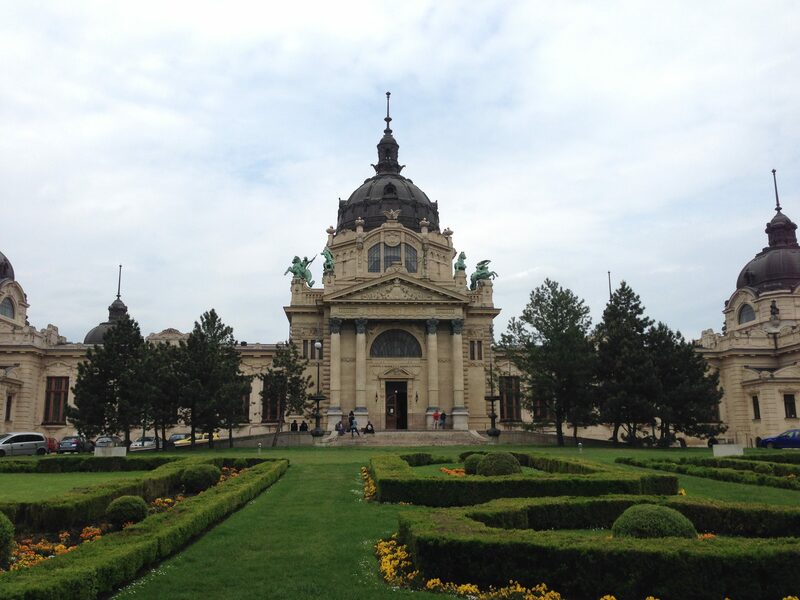 The entrance to the grand Széchenyi thermal baths – the largest of its kind not only in Budapest but also Europe. 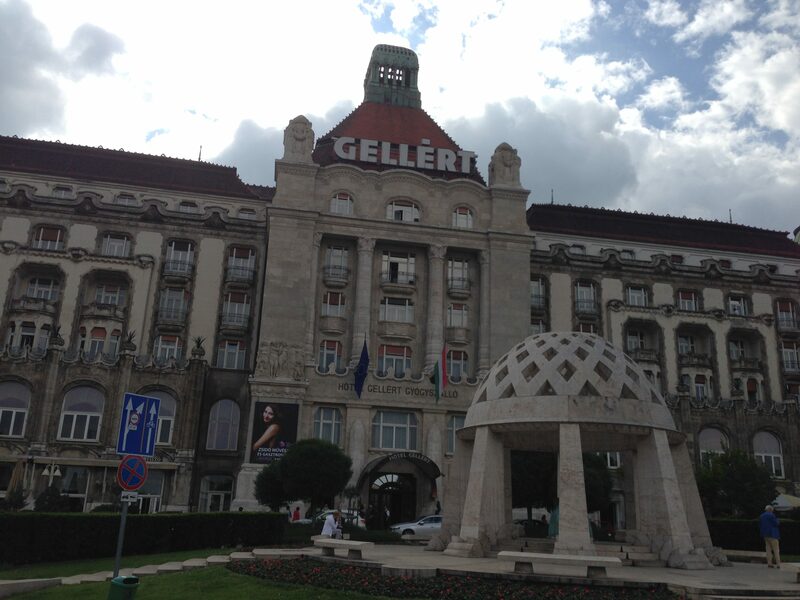 The very upmarket Gellert Hotel and Spa. There is no shortage of great parks in Budapest. Adjacent to the Szechenyi Baths is the Varosliget Park, literally translated as “city park”. Connected by drawbridge you find Vajdahunyad Castle, reminiscent of many a castle from childhood storybooks. Generally a very nice and relaxing area that provides a relaxing diversion from the main city. Take in the greenery, play a game of chess or even feed the ducks who call Varosliget their home! To the north-west of the city and located in the centre of the Danube is Margaret Island. This is a great place for nature lovers and also a nearby water park for those who wish to go for a swim. With a mini zoo as well, this is a very popular spot for a stroll in the spring and summer. 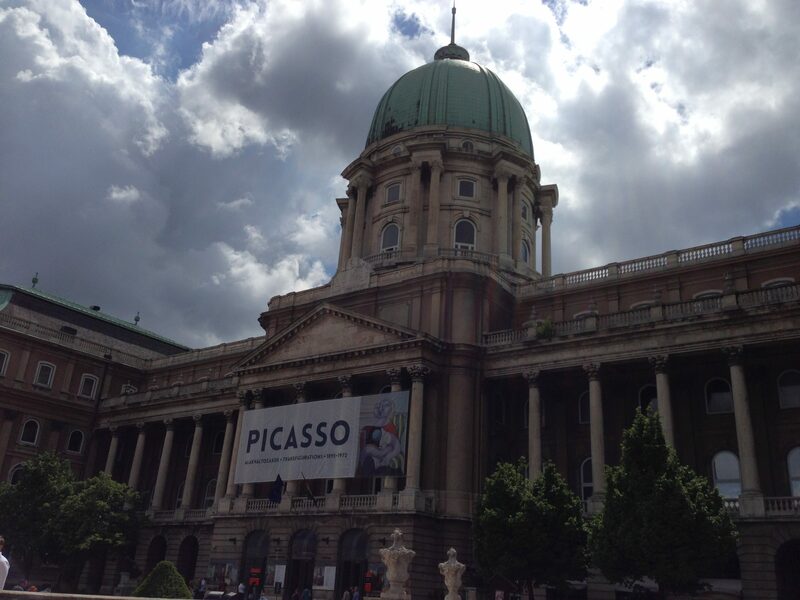 The range of museums in Budapest is certainly varied. For history of the city, the Budapest History Museum in the castle complex uses its impressive collection of photos, costumes and other artefacts. On the other side of the castle is the Hungarian National Gallery. This is an absolute palace of traditional paintings from Hungarian history and also numerous international masterpieces found in separate wings covering different time periods. The Hungarian National Museum (near metro station Kalvin Ter) is the largest museum in Hungary documenting this country’s history from the beginning of time to the end of the 20th Century. A much darker look at more recent history is detailed at the popular House of Terror museum (on the street Andrassy utca). 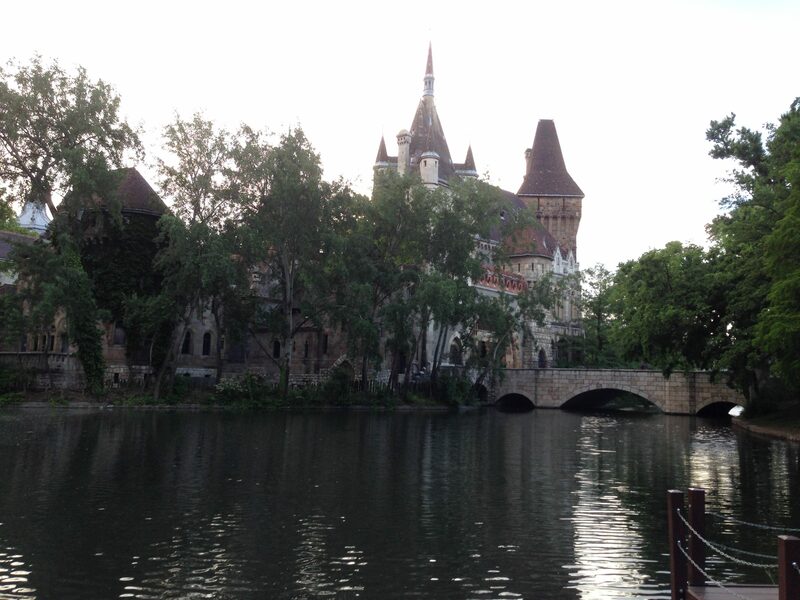 Here, you can get an insight into what Hungary was like under both Nazi and Soviet occupation. Located opposite each other on the iconic Heroes Square are two other great art galleries. 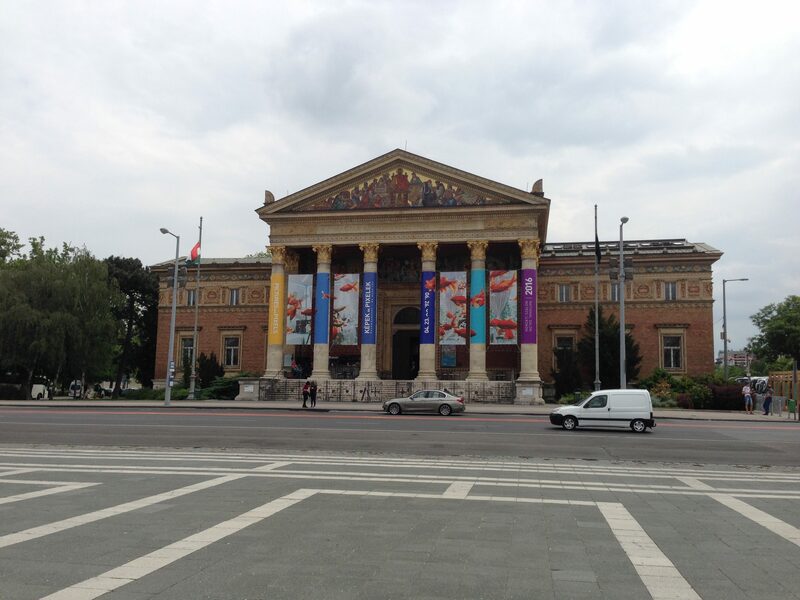 The Museum of Fine Arts (closed for refurbishment at the time of writing – due to re-open in 2018), has been location for some notable classical antiquities as well as international and Hungarian art. Opposite is the neo-classical entrance to the Palace of Arts. This is definitely recommended for those with more of a focus on contemporary art. But perhaps for something more quirky you may want to visit the Pinball Museum. A more recent Budapest attraction (opened in 2014), this is a total must if – like me – you get a nostalgic sense of awe over these machines that bring back so many childhood memories. The “Flippermuzeum” as it is locally known is the place to play on pinball machines to your heart’s content. And not only that, but also sample playing on the very first wooden prototypes for the modern pinball first conceived in the late 19th Century. Now, lovingly restored for future generations to experience. If it is the need for some high street shopping or the purchasing of souvenirs then Vaci Utca is the main people watching spot. The long thoroughfare and its adjoining streets such as the upmarket “Fashion Street”, will feel very touristy for better or worse but where all paths will inevitably lead. Expect your major international high street chains and stores in the former and the slightly more exclusive in the latter. The tram-lined Grand Boulevard that connects one end of Pest to the other is a likely streets that you will end up passing through in some way or another. This giant ring road connects numerous streets on the outside and also is a popular spot for nightlife and your everyday shopping. It is worth also walking through some of this iconic route for a feel for the history of Budapest. 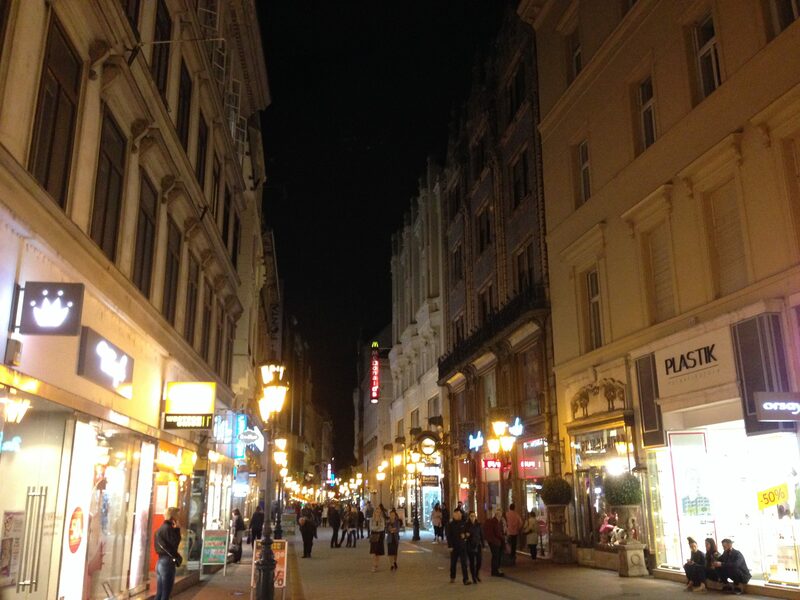 Vaci Utca is the centre of action in Budapest in the day and night. The main place to find your usual high street stores and an inevitable location for an evening’s entertainment. If you can afford them, then treat yourself to a stay at the luxurious Gellert Hotel or the Hotel Corinthia! But truthfully, whatever accommodation you find anywhere in the districts of Joszefvaros or Erszbetvaros would be ideal. Not too far from the train station but also very well connected to metro stations and most sights. For unlimited travel on the metro and trams, a Budapest Card is a must! There are 24-hour, 48-hour or 72-hour options available at different prices. It is definitely useful if going on the metro as there are inspectors at all stations and be prepared for a big fine if caught at the exit without a ticket! Also, it offers free entry to some museums and discounted entry to others. Worth getting regardless. 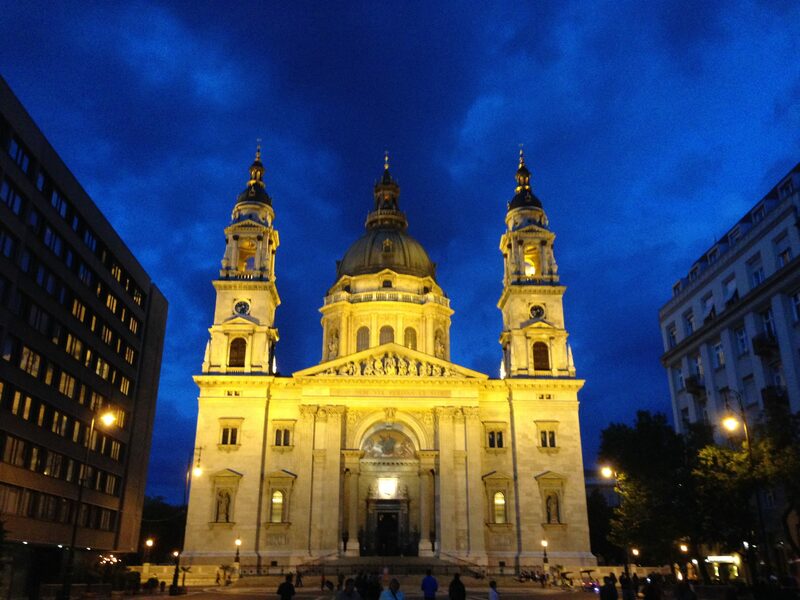 Top 10 Budapest | Travel Hacker Girl - A blog for travellers.